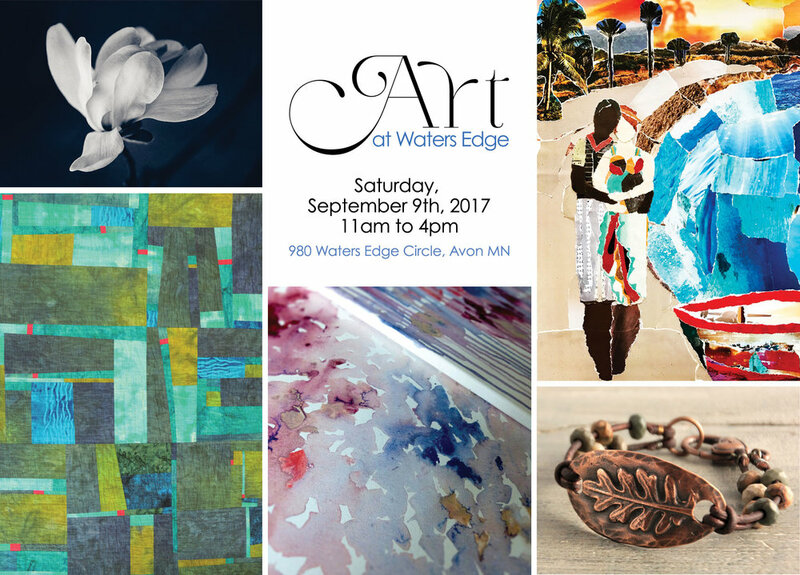 You're invited to Art at Waters Edge! Enjoy a relaxing indoor art experience! Light snacks provided! Bring a friend, too. This event is being held at Barb's home in Avon, Minnesota. Put it on your calendar and I'll see you soon! I started this event last year to create a more relaxed environment for my patrons to see my photographic art, and talk to me in a quieter place than what a typical art fair allows. And because I wanted a better experience for you than just my work, I asked a few artist friends to join me — and they said yes! All of the artists have wonderful, caring hearts, a sense of humor, and create unique and fantastic art. Olivia Jakel - Olivia J will be exhibiting a variety of original watercolor & mixed media pieces for purchase. Olivia also creates custom commissioned paintings. Caron Lage - is a fiber artist who will be displaying items created with her hand-dyed fabric. Caron can be contacted via email at: creative8chaotic at yahoo dot com. Debby Hess - is a jewelry artist who loves to create jewelry that tells women’s stories and gives them a way of expressing what they hold dear – I’ll be bringing a selection of pieces made with this in mind. Sarah Drake - Sarah Drake is a self taught emerging collagist. She uses found and recycled materials as often as possible to leave a small footprint on the planet. The geometric shapes incorporated into her artwork are inspired by the Gurrunsi women of Burkina Faso and their traditional hut paintings. Barb Kellogg - Barb is a photographic artist who creates elegant and timeless images. You'll see her using both digital and film to create. Neither is better. Each communicates in it's own way. All artists will have artwork available for sale. 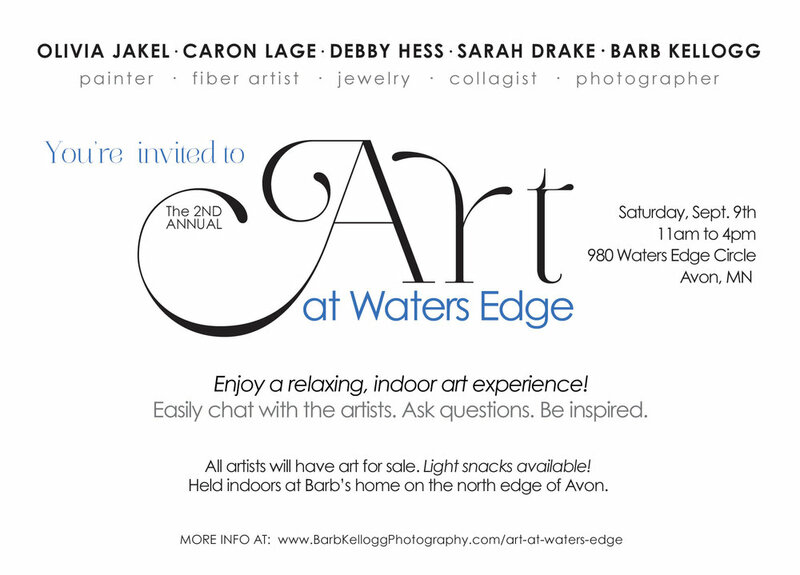 For more info, please contact Barb at hello@BarbKelloggPhotography.com or 320-493-8883.